The next day, I ventured out with Jill, a Mzungu I had met at the hostel. She reminded me of two friends back home…always a nice surprise when making a new friend. The whole day was somewhat bizarre and led me to have more questions than answers. We first went to the Nyabugogo Station and took the front seats of the bus. The bus station, like Kigali, is very organized and there is a spaciousness that is so different from Kampala. The trip was only about 30 minutes to Nyamata. The driver was steady and didn’t speed. It was a nice change to hear the best of Bob Marley come from the cassette player. 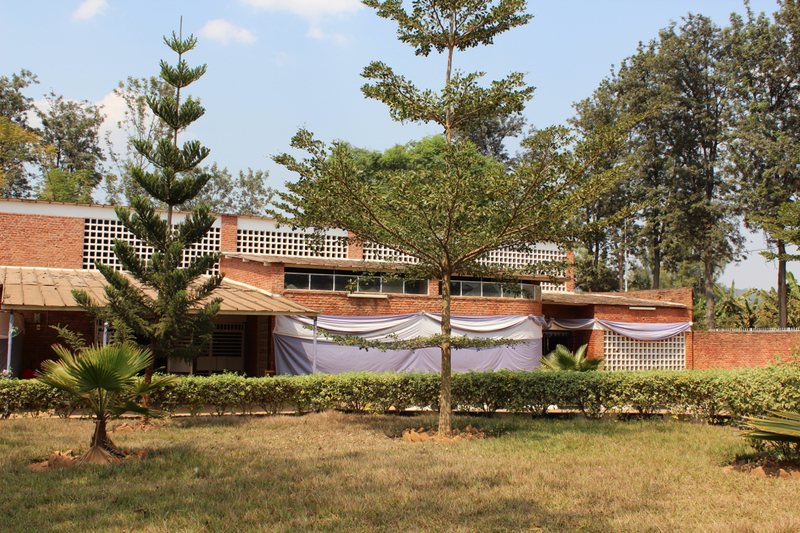 We had read that the first Catholic Church was about a kilometer from the Nyamata bus station so we figured we could navigate ourselves there easy enough. The town became more desolate as we walked towards where we thought the church was located. As we asked people along the way, we were surprised to find that many seemed to have no idea what we were talking about. Jill remarked that she was hesitant to use the word genocide. We felt the need to pick our words carefully. After walking under the hot sun for about 45 minutes we took an easily overlooked right turn to find the Nyamata Memorial site. There were no other visitors there and the only other person present was a Rwandan attendant at the entrance. At first glance, it didn’t look much like a church at all. 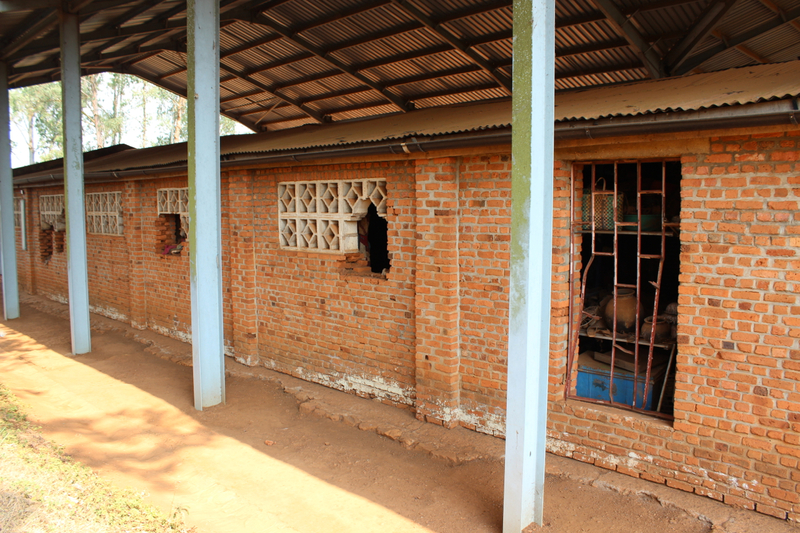 The brick structure adorned with purple and white fabric (to denote a memorial site), looked more like a school. Once inside there were rows of benches piled high with vitims’ clothes. It was unlike anything I had ever seen. 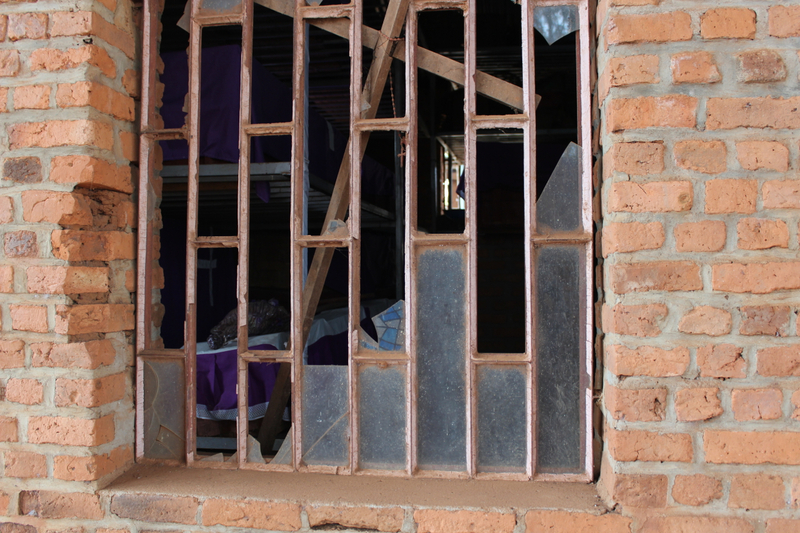 Bullet holes were scattered on the ceiling, letting in streaks of light. 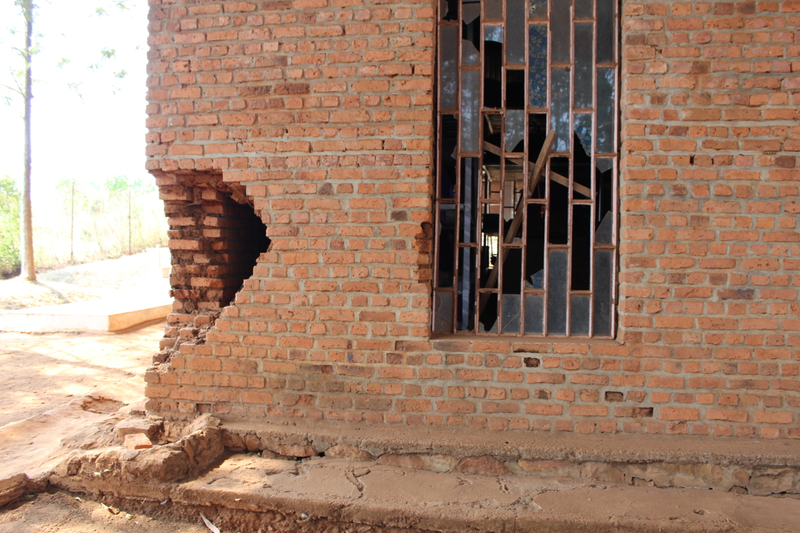 In fact, there were bullet holes all around the building and chucks of brick missing from where grenades had exploded. In the basement, was a plastic showcase with hundreds of skulls and bones. 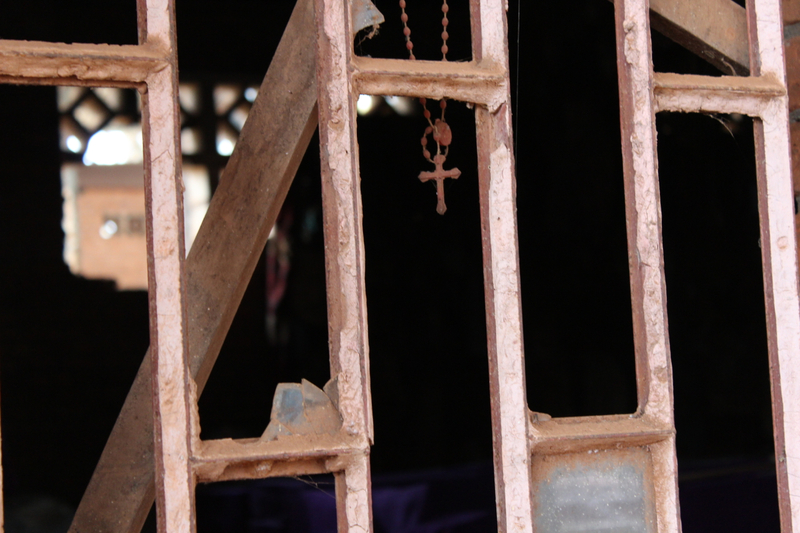 Some of the skulls had gashes from being hit with a pangas (machetes). Some of the skulls were small enough to be from infants. We didn’t stay more than 15 minutes and as we left I tried to make sense of my time there. I saw with my eyes where 2,500 – 10,000 (website says 2,500 but guide told us 10,000) were mercilessly murdered. They went there for a safe refuge and were instead handed off to die by the priests or very people they thought were protecting them. I questioned my feelings or lack there off after seeing Nyamata. It was if I detached myself from the experience all together. Perhaps if I had opened myself up fully, it would have been too much to handle. Growing up with relatively no exposure to violence, this amount of brutality was beyond my spectrum of understanding. Next we tried to make our way to another nearby church called Ntarama. I couldn’t help but feel like people noticed us moving about but that they saw right through us. People would stop and stare but in a very unaffected way. This is such a contrast from the very friendly and easy to greet people of Uganda. Communicating was once again difficult so we used hand gestures and even asked a boda driver to speak in French in a hope we could dissect enough to get us to our next spot. Ntarama was tucked deeper into the woods, further out of town. The surrounding area exuded a peacefulness which was strange to feel right before entering the memorial. 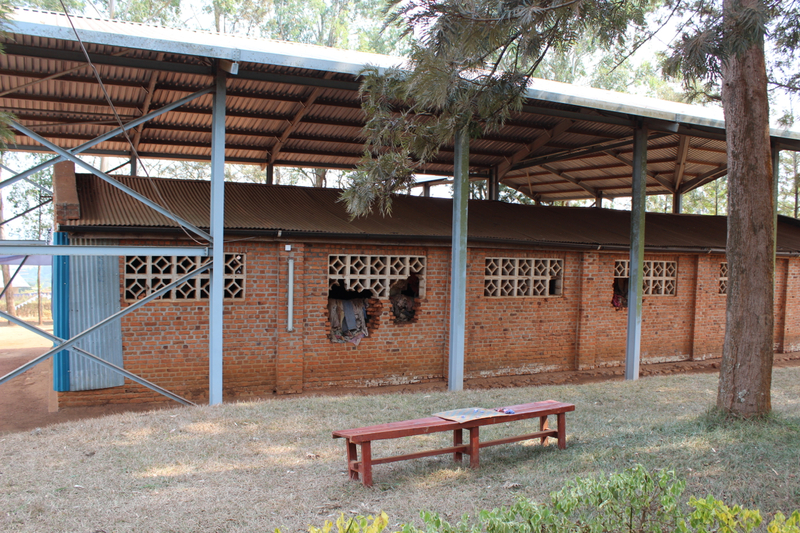 Outside of Ntarama Memorial…damage from grenades. This site was smaller, the only real difference in the church was that there were a dozen coffins which we were told each encased the remains of about 100 bodies. At one point, in a nearby school room, the tour guide indicated that a large stain on the brick was blood and brain remains. This was where they had tortured children before killing them, usually in front of their mothers. It was hard to breathe after hearing that. 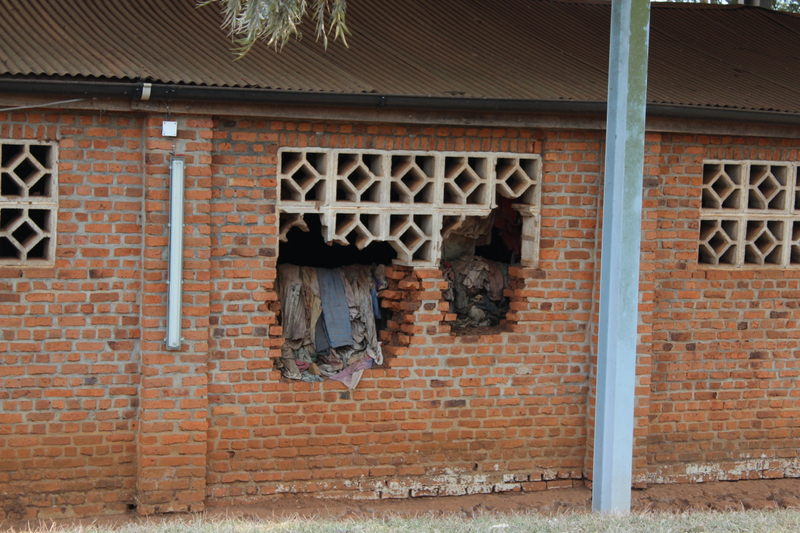 Outside of Ntarama Memorial…piles of clothes inside. As the day carried on, it felt like we were missing a key part of the puzzle or that something was being kept from us. Thinking about it, this almost seems to be too obvious an observation. I’m sure there are many secrets and stories being hidden beneath the calm and pensive faces we saw. Everyone mourns in their own way and some choose to try to move on without ever talking about their experience. The answers I was seeking would be hard to get after only spending two days in the country. I desired private thoughts of a national psyche. That took time and trust. I only had time scratch the surface at best. The last Saturday of each month, from 8-11 am Rwandans clean the city, fix structures and work on projects. This is compulsory even for the President. Perhaps this is a way to wash their hands clean and provide if nothing else a notion for a cleaner and pure future. For this and many reason, I am interested to see where Kigali is in 20 years. I hope I can revisit sometime in the future to see how deep scars heal and what evolution the country continues to make. My time in Kigali has opened my eyes to the some undeniable truths and realities of human nature. Even in the two days I have spent here, I have started to look at world events and current affairs in a different light. At any given moment, there are people suffering in civil war, mass exodus and extreme poverty while others are fighting to rebuild a nation, meditate on peace or feeding the hungry. Instead of labeling something good or bad, evil or holy, I like to think of things existing on a continuum of collective consciousness. This eases my anxiety after over thinking the harsh reality. My trip was short but has touched my heart in a truly unique way. 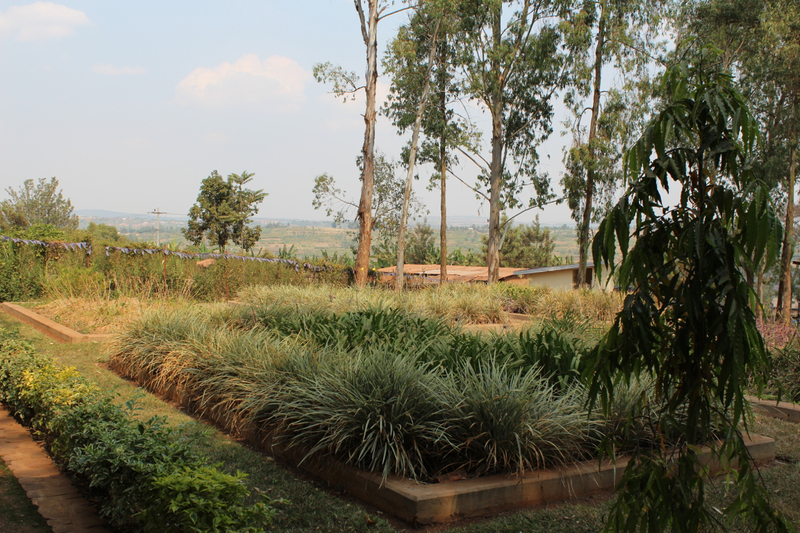 I am left wanting to know more about what lies beyond Rwanda’s beautiful green hillsides. . . In a more upbeat note…had some amazing food. I was able to make it almost all of the culinary recommendations. 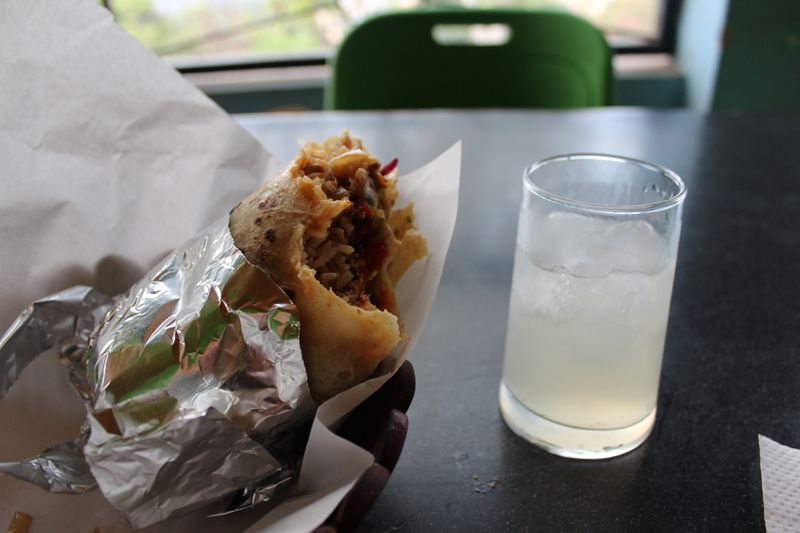 This was at Meze Fresh, just like Chipotle!